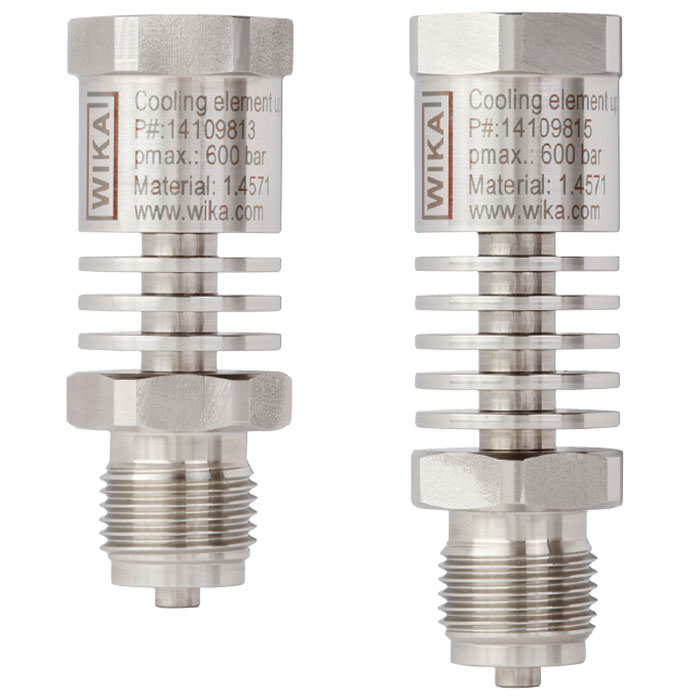 Cooling elements are used when the medium temperature would exceed the permissible temperature limit of the pressure measuring instrument. 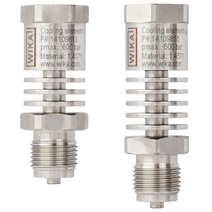 Through air circulation and heat radiation at the cooling element, the medium temperature is lowered sufficiently so that the temperature limits are not exceeded and any possible temperature error is reduced. The cooling element can also be used for warming very cold media, provided that the ambient temperature is higher than that of the media.